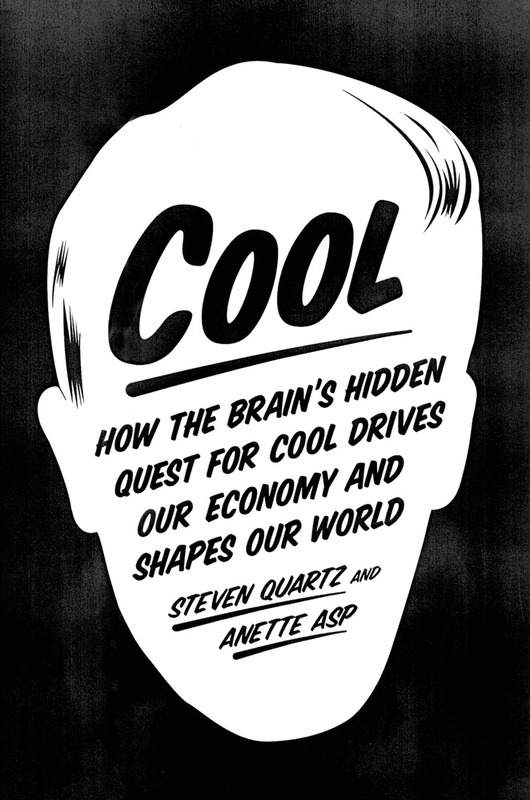 If you have ever wondered why SUVs replaced minivans, how one rap song turned the cognac industry upside down, or what gives Levi's jeans their iconic allure, look no further—in Cool, Steven Quartz and Anette Asp finally explain the fascinating science behind unexpected trends and enduring successes. We live in a world of conspicuous consumption, where the clothes we wear, the cars we drive, and the food we eat lead double lives: they don't merely satisfy our needs; they also communicate our values, identities, and aspirations. In Beverly Hills, tourists flock to the famous Rodeo Drive-not to shop, but simply to take photographs of themselves in front of luxury stores. And for one week in August, hundreds of thousands of HarleyDavidson fans from all over the world descend on the remote town of Sturgis, South Dakota, and engulf the otherwise sleepy hamlet in the deafening roar of motorcycle engines. Why do brands inspire such devotion? Quartz and Asp bring together groundbreaking findings in neuroscience, economics, and evolutionary biology to present a new understanding of why we consume and how our concepts of what is "cool"—be it designer jeans, smartphones, or craft beer—help drive the global economy. The authors highlight the underlying neurological and cultural processes that contribute to our often unconscious decision making, explaining how we're able to navigate the supermarket on autopilot for certain items and yet arrive at the checkout counter with a basket full of products picked up on the spur of the moment. And they explore the opposite side of the consumer equation—the "choice architects" who design store interiors and the "coolhunters" who scour Berlin and Tokyo on the lookout for the latest trends. Through a novel combination of cultural and economic history and in-depth studies of the brain, Cool puts forth a provocative theory of consumerism that reveals the crucial missing links in an understanding of our spending habits: our brain's status-seeking "social calculator" and an instinct to rebel that fuels our dislike of being subordinated by others. Quartz and Asp show how these ancient motivations make us natural-born consumers and how they sparked the emergence of "cool consumption" in the middle of the twentieth century, creating new lifestyle choices and routes to happiness. Examining how cool was reshaped in the 1990s by a changing society and the Internet, they unpack the social motivations behind today's hip, ethical consumption, arguing that we should embrace, rather than deny, the power of consumerism. Taking us from Norman Mailer to normcore, Cool is surprising at every turn, and will forever change the way you think about money, status, desire, happiness, and choice. Steven Quartz is a professor of philosophy and cognitive science and the director of the Social Cognitive Neuroscience Laboratory at the California Institute of Technology. He is the coauthor of Liars, Lovers, and Heroes and lives in Malibu, California. Anette Asp is a political scientist, public relations and communications professional, and pioneer in the field of neuromarketing. She is a former project manager at the Social Cognitive Neuroscience Laboratory at the California Institute of Technology and is currently the communications manager of a leading telecommunications company. She lives in Stockholm, Sweden.